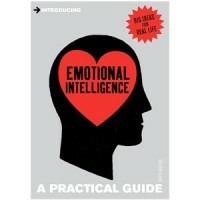 David Walton has authored a good tour of emotional intelligence, however, given the depth and breadth of this vital subject, this is very much designed to be at generic level, akin to the ‘read me first’ documentation when you get a new appliance. The book gives a good general coverage of self-control, how to raise influence with others, as well as some general life skills to help with mental health and balance, for better emotional intelligence. As an entry-level book for emotional intelligence, written for general management, a new project manager will find the’ insight’ exercises a good primer for raising their stakeholder management skills. More seasoned project and program leaders would find this very familiar ground already, although a refresh never hurts to help build competency. I personally enjoyed the section on seeing and influencing the viewpoints of others, as Walton provides some sensible ground rules for enquiries. The limitation of the book is in the design itself: there is not enough space to go deeper into the practical activities that really draw attention to the behavioural shifting changes necessary for high performance leadership. Walton can’t be faulted here of course, this is clearly a primer, however he does provide several good suggestions for further reading, notably Daniel Goleman. I’d use this book as an ideal prompter for team members as a growth step towards project coordination, or junior PMO staff. Ian Sharpe is a respected professional in the fields of project leadership and capability development. He has worked with a wide range of global organisations as a senior adviser on portfolio, program and project excellence, helping them build their internal capabilities by providing sustainable and effective development programs for staff. Ian Sharpe has written 4 articles for us.